Prime Minister Moses Nagamootoo and Family Visit. 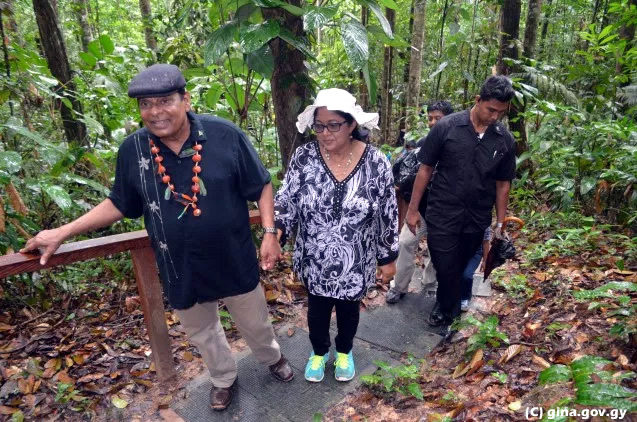 In July, Prime Minister Moses Nagamootoo and his family visited and overnight at the Iwokrama River Lodge, met with residents of Anai, visit Radio Paiwomak, and held a meeting with representatives of the NRDDB. 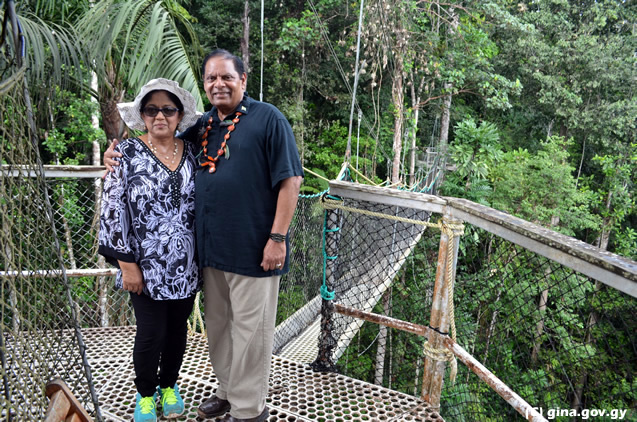 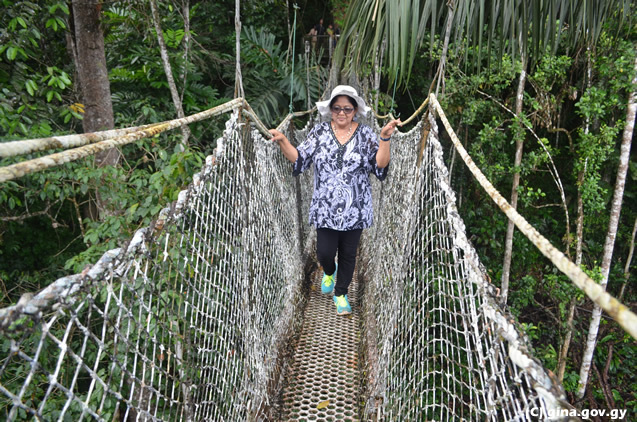 Braving the steep trail and crossing the suspended bridges were no issue for the Nagamootoos. 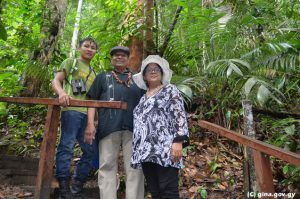 At the River Lodge they spent one night and departed next morning after sharing sports equipment [football, cricket bats and balls], appreciation plaque and a small monetary donation for staff on site who worked to make their stay a successful one.